In a game where the Utah Jazz may have taken the advantage on the scoreboard, Devin Booker took control of the record books. Just one day after the two-year anniversary of Booker’s historic 70-point night in Boston, the young star shined bright again with a 59-point outburst against Utah. Booker was locked-in early as he scored the Suns first nine points on three consecutive three-pointers. After scoring 20 and 22 points in the first half of the previous two games, Booker upped that total for a third straight game with 27 points against the Jazz. This marked his 16th consecutive 20-point game, tying his career long for the fifth most in franchise history. The 22-year-old erupted for 20 more points in the third quarter as he reached 47 points on the night. This was his 13th 35-point game of the season as he passed Suns Ring of Honor member Connie Hawkins for the most 35-point performances in a single season in franchise history. Booker opened up the fourth quarter with two free throws, followed by a step back jumper to notch his second 50-point game of his career and the seventh in franchise history. 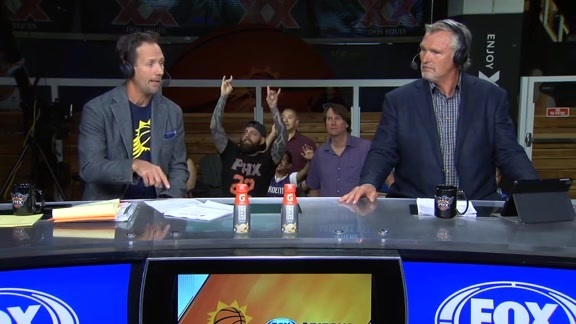 He joined Tom Chambers as the only two Suns to score 50-plus points twice. With a minute and a half left in the fourth, Booker hit his final shot of the game to finish with a season-high 59 points. This was the most points ever scored in Utah (passing Karl Malone) as he now holds the arena records at both Vivint Smart Home Arena and TD Garden in Boston. Booker notched this total with great efficiency, shooting 55.8 percent from the field (19-34), 62.5 percent from three (5-8) and 94.1 percent from the free throw line (16-17). Accounting for all three percentages, it was the most efficient 59-point game in NBA history, per Basketball Reference. Speaking of percentages, Booker scored 64.1 percent of the Suns total points on the night which ranks second behind only Kobe Bryant for the highest percentage of a team’s points since 1959 (per Elias). In just his fourth season in the league, Booker joined Hall of Famers Wilt Chamberlain, Elgin Baylor and Michael Jordan as the only players in NBA history with multiple games of at least 59 points within their first four seasons. Booker is the sixth player ever to reach 59 twice at any point in their entire career joining the previous four Hall of Famers plus Kobe Bryant and James Harden. And once again, he’s only 22. This game ranks third in franchise history for the most points scored by a Suns player in a single game, trailing only Tom Chambers (60) and himself (70). 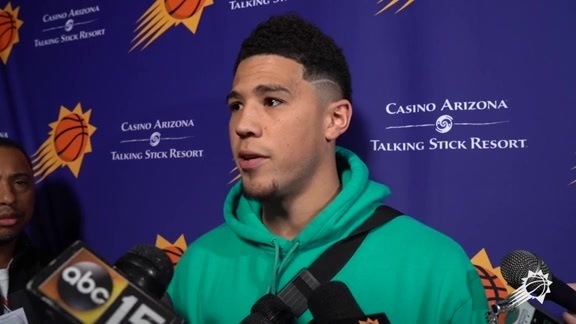 Booker and the Suns will return home as they gear up to face the Washington Wizards on Wednesday at Talking Stick Resort Arena. Be sure to catch the action on Fox Sports Arizona.